The pity about Saturday�s excellent victory at Burnley is that we do not have time to purr over a near-perfect performance, because there is hardly going to be time to breathe in this hectic month of April. It�s off to Swansea on Wednesday for a hoped-for sixth away win of the season in the continuing chase in Chelsea�s slipstream, with manager Mauricio Pochettino facing major injury worries. Victor Wanyama and Harry Winks join Harry Kane, Danny Rose and Erik Lamela on the list of casualties. Last night�s news was that rich-with-promise Winks has damaged ankle ligaments that could keep him sidelined throughout the business end of the season. Spurs supporters of a certain age will remember when a trip to Turf Moor was a mountain climb, back in the days of the three Jimmys � McIlroy, Adamson and Robson � plus Ray Pointer, Gordon Harris and John Connelly. What a team they had, and recently they have turned their home back into a fortress. But as our webmaster Paul Smith reports here, it might easily have been a real bashing for Burnley if Dele Alli had not missed a hat-trick of gilt-edged chances. It took a rare Eric Dier goal to settle nerves and give Spurs the lead their cultured and carefully choreographed football deserved. I hope that all people who knock Christian Eriksen�s physical input noted how he won the ball against the often feared Joey Barton to help set up goal number two by the effervescent Son. You and Son's fans in Asia may be interested in sbobetasia. Dier, maturing with every performance, stepped up to the plate and took on extra responsibility after Winks was stretchered off as the half-time whistle blew. Pochettino changed tactics, and Eric showed his versatility as he rode midfield shotgun for the magical Mousa Dembele in the second-half. A little fact you may not know: from schoolboy through youth and senior football, born leader Eric has skippered every side he has ever played for. Gareth Southgate must be eyeing him as a future captain of England, and he would be my choice to take over from Hugo if it is ever decided that he has his hands full with his goalkeeping duties. I have followed Eric�s career closely from his earliest days with Sporting Lisbon, because his late paternal granddad Ted Croker � former supremo of the Football Association � was an old acquaintance of mine, and he would have been bursting with pride at the way Cheltenham-born Eric has carried on the family football tradition. I never tire of telling the story that Ted was a real man�s man, a war hero who won a gallantry medal after crawling a half mile from a crashed bomber with broken ankles to get help for his injured crew mates. He recovered to continue his football career after the war at Charlton with his brother Peter, and later became a hugely successful businessman when starting an earthmoving equipment company in Gloucestershire. 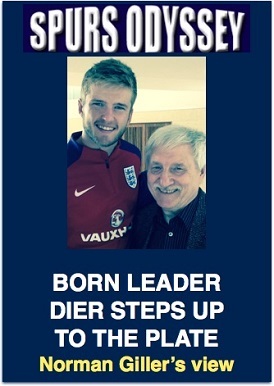 The son of former professional tennis player and later high-powered sports agent, Jeremy Dier, Eric was born a year after his Granddad died, and I have been able to tell him that Ted would be enormously proud of what he is achieving in the game. Eric moved to Portugal at the age of seven when his mother landed the job of helping organise the hospitality for the 2004 Euro championships, and as well as becoming bi-lingual he developed as a defender with Sporting CP in Lisbon. Something to note with apprehension: He admits the club he supported as a kid was Manchester United. Eric�s adaptability allows Pochettino to switch easily between three or four at the back, and that will keep opponents guessing as we approach the challenging Easter Parade of matches. This picture of Jimmy's "homecoming" with his family is courtesy of the official Tottenham Hotspur website. 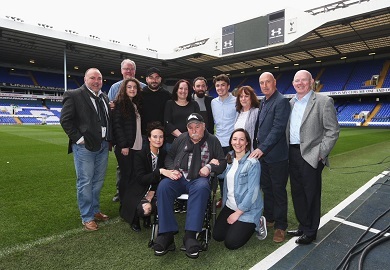 Legend Jimmy Greaves paid a hugely emotional visit home to White Hart Lane on Friday, a trip that was deliberately kept secret to save it turning into a circus. He arrived in his wheelchair cushioned by the love of a gathering of the Greaves family, including his sons Danny and Andrew and daughters Lynn and Mitzi. Only Irene, his loving wife of 60 years, was missing, simply because she hates fuss and has never ever sought the spotlight that has shone for ever on her husband, who was an apprentice at Chelsea when they met. Jimmy was nervous about his return to the ground that he decorated with some of the greatest goals ever scored in the history of the game, and he very nearly �swallowed� it. He had a tour of the dressing-rooms and, of course, the pitch on which he performed his magic, and was shown what the future ground will be like. �Unbelievable,� was his one word verdict. The Greaves family just wanted to say a thank you to Tottenham for the quiet help they have been given in Jimmy�s moment of need. They lunched at the club, with Jimmy, of course, guest of honour. Dear Jim just does not realise the love there is for him out there. He knows only too well how so many of his old colleagues have suffered as they pay the price for the physical efforts they made in their playing days. As they reach the autumn of their lives few have avoided pain and, sadly, in several cases the dreaded footballer�s curse of dementia. I will soon increase my donation to the Tottenham Tribute Trust to over �2,000 to help our old heroes who have hit difficult times, following my pledge that all profits from my Spurs �67 book will go to the Trust. That will just about pay for a new kneecap or hip, and maybe a little towards the caring costs for ex-players who missed the gravy train on which today�s footballers ride. Sales of the book have slowed to a trickle, but I am sure YOU as a regular Spurs Odyssey reader are going to get behind this great cause. Please order a signed copy here http://www.normangillerbooks.com/spurs-67/4554925859. It is the perfect present for Dads and (definitely) Granddads, who remember the days when Spurs were FA Cup kings. Please reach into your Spurs soul (and pocket) and help our old heroes. I am giving every penny of profit to the Tottenham Tribute Trust. Please help me raise as much as possible. Thank you. Email your answers, please, to SOQL33@normangillerbooks.com. Give your name, the district where you live and how long you�ve supported Spurs. I will respond, and will email a screen version of one of my Tottenham-themed books to the sender of the first all-correct answer drawn at random. Deadline is midnight on Friday. 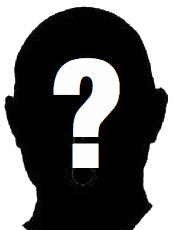 First name drawn at random from the correct answers is John Cook, from Bishop Auckland, who has been a Spurs supporter since growing up in Enfield in the 1960s. I will be emailing John a screen version of one of my Tottenham-themed books.